It’s not uncommon to hear business owners talk about Yelp in a way that screams of a love/hate relationship with the widely used review site. Understanding how a review is posted on a business profile, requiring payment to remove competitors from a company’s page, and an inaccessible support team has been enough to make plenty of business owners want to leave an explicit one-star review on Yelp’s own Yelp page (which, conveniently, doesn’t exist). Chances are that many of you have received at least a few calls from a Yelp salesperson in the recent past and you have likely decided against advertising with them. Many of my clients felt the same way! As an unbiased consultant, my team and I did an assessment on the value of Yelp for an auto service business. Here’s what we found: Believe it or not, Yelp’s claim that their ads work and can bring auto shops more customers actually held true for the majority of my clients, regardless of the number of locations they operated. So, if you love to make money more than you love to hate Yelp, keep reading. Let’s say Sandra wants to buy tires for her Mazda Miata. She’s in research mode, and she starts with Google, which is a great solution for research and buying. Pay-per-click advertising on Google for research-related terms can take a while to pay out because Sandra may take her time to choose a tire based on size, characteristics and budget. As a business owner with limited marketing budgets, you may not be able to wait that long to get your return on investment. Once Sandra decides on which tire she wants to buy, her next step in the buying process will be to identify where to buy these tires and have them installed. Therefore, advertising to her at this point is the quickest way for your business to earn her business. According to Nielsen, a consumer data analytics company, 81% of consumers searching online for automotive businesses turn to review sites to narrow down their search. Since Yelp owns a large portion of the local reputation-related search traffic, a good majority of these searchers end up referencing consumer feedback on Yelp as part of their decision-making process. In fact, Yelp claims that 92% of consumers searching Yelp for an automotive business make a purchase after using the review platform. Given this high likelihood of purchase, having a weak Yelp presence is a missed opportunity for a business. 1. Enhance your profile and make sure it’s keyword-optimized. “Enhancing your profile” (albeit for a fee) through the right imagery, accurate business information and a strong call-to-action will help build your credibility with users. Investing in profile enhancement also removes the ability of your competitors to advertise on your profile and steal your business. Additionally, adding strategically placed keywords within your profile description can mean the difference in appearing or not appearing high in organic Yelp and Google searches (because Yelp ranks high on Google search results). If you’re not sure how to choose the best keywords for your profile, working with a marketing agency that is Yelp Ads Certified and also knows the tire and auto service industry can benefit you greatly. Keep reading for details on its recently launched Yelp Ads Certified Program. 2. Actually run ads. Paying advertising dollars to a company you may philosophically dislike may feel unnatural, but at the end of the day, Yelp is here to stay. Your customers and prospects are using it, and it is in the best interest for your business to have a presence on it. The beauty of Yelp is that it’s digital, and return on investment (ROI) for digital marketing can be tracked. Conversion tracking and unique phone number implementations are just a few ways to track the success of your Yelp marketing. If you need help setting this up, consult your marketing agency or feel free to reach out to me for assistance. An additional benefit of running ads on Yelp is that it likely will also improve your review rating. The platform encourages its users to leave reviews for businesses they’ve visited. 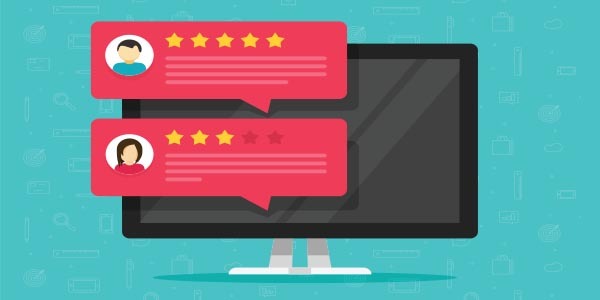 Ads mean more profile visits, which usually means more customers from Yelp, so those customers will then be asked to review you. Your great quality of service will ensure that the majority of those reviews will be positive, and your Yelp rating will benefit. These reviews are likely to also remain visible (and not be filtered) by Yelp algorithms because trusted Yelp users are posting them. Imagine having a professional mechanic stand in your bays to guide your team through jobs and show you where this guidance is turning into better quality service for your customers and more money for your business. That example is similar to working with a Yelp Ads Certified Partner. These partners are marketing agencies that have been invited into the program by Yelp largely due to the quality advice they have already been providing Yelp clients. 1. The Certified Partners have a direct line to Yelp, which can help you get answers quickly to most of your questions. The agency support also likely means dealing with a single point of contact that gets to know your business rather than dealing with a regularly rotating Yelp support team. 2. The agency’s buying power with Yelp allows them to extend discounts to their clients that aren’t normally available to individual businesses. There are plenty of ways to market your tire dealership, and I’ve talked about several of them in my previous articles. However, in my opinion, Yelp deserves your strong consideration especially if you are looking for ways to reach consumers who are ready to buy tires or who need auto repair services. The question now is: are you ready to lead Sandra with her Miata and others like her in your local area to your shop for a quality experience that will turn into more reviews, better ratings and ultimately more dollars for your business?